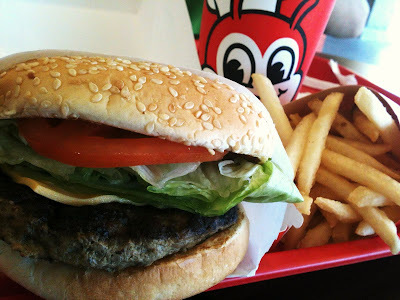 The famous Jollibee Restaurant now open in Anaheim, California. It opened yesterday, October 1st and I was there to witness the excitement of every Filipino waiting in the long line. They are not ready to serve breakfast but I did not hear anyone complaint. What is so great about this branch is they have a Drive Thru Window. How convenient could that be. Next door is the Red Ribbon Bakery which also open the same day. I purchased mamon , sponge cake and mango bars. I was told by one of the Jollibee employee Chowking will open next year around April. Isn't that great! Specially it is so close to home.